This article is 246 days old. 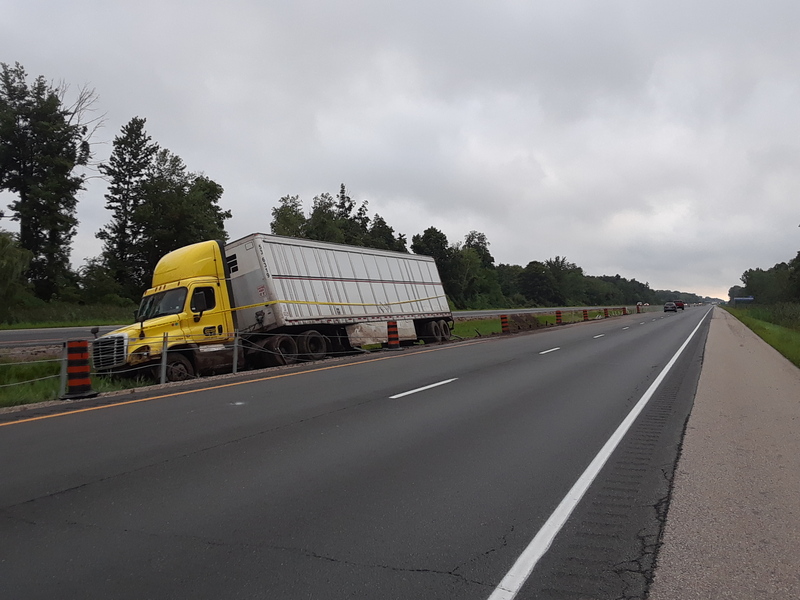 Recently installed cable barriers on the 401 in Chatham-Kent helped to prevent a crossover collision. OPP say it happened around 12:30am on August 18th, 2018 near Kenesserie Road. They say that due to road conditions, an eastbound pick-up truck carrying an engine lost control, struck the centre median cable barrier and rolled over, causing the engine to dislodge and land in the westbound lanes. 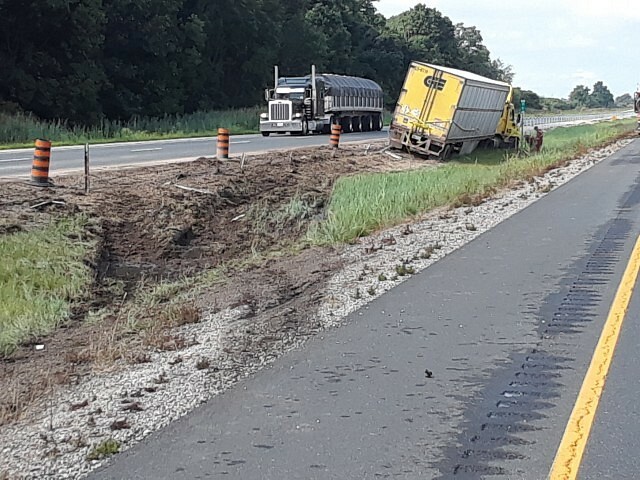 A westbound tractor-trailer collided with the engine, lost control and struck the centre median cable barrier. Both vehicles were prevented from crossing through the centre median by the barrier, reducing the potential for a crossover collision. Highway 401 was closed for approximately 12 hours to allow for clean-up of the scene.